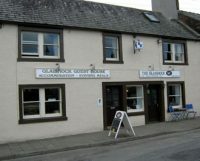 Glenquicken is a working farm with sheep, horses, hens, pedigree Galloway cattle and working dogs. We also run a trout fishery. The farm is open for exploration by our guests and we have an abundance of wildlife with deer, hares, pheasants, ducks, buzzards, hawks and numerous garden birds. We even have our own resident white barn owl. Our cottages are maintained and furnished to a high standard and all rooms have stunning views of the Galloway countryside. The water in the cottages is supplied by our own spring which rises deep in the hill behind the farm. The water is very pure and clean as it is filtered through Galloway granite and the sand and gravel deposited from a long-gone glacier which once covered our glen. Car parking is available outside the cottages in a private area set aside for this purpose. Lodge Cottage has four permanent beds in two large bedrooms while cots and additional full-size folding beds can be supplied on request. Heating is by oil and there are radiators in every room while additional heating by electric radiators is available if required. 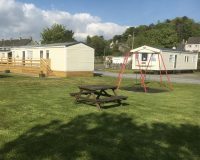 There is a full-size oven with hob fitted and the Lodge is also equipped with a fridge freezer, washing machine with dryer and large microwave. Colour television, DVD and CD player are all supplied. Oil heating is supplied free, electricity is by £1 meter and bed linen is included in the rental. Towels will be supplied to overseas visitors only. 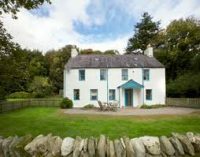 Barholm Accommodation features free WiFi throughout the property and views of sea in Creetown. This 3-star bed and breakfast offers a garden. Free private parking is available on site. All guest rooms at the bed and breakfast are fitted with a TV and a kitchenette. Each room is equipped with a private bathroom. The rooms will provide guests with a microwave. Guests at the accommodation will be able to enjoy activities in and around Creetown, like hiking. A bird-watcher’s paradise in the peace and tranquility of the Galloway countryside, Falbae Cottage sits in its own enclosed grounds with panoramic views to Cairnsmore of Fleet and Wigtown Bay. Wake to the sound of birds, the curlew or cuckoo calling and swallows chattering. Watch the sun go down over the bay and look out for the barn owl at dusk. 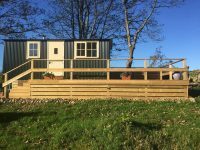 Relax in the cottage and garden, letting nature come to your window, or explore Falbae’s forty acres on meandering grass paths through woods and beside ponds teaming with wildlife. A haven for visitors and wildlife alike but with easy access – Creetown and the well-known Gem Rock Museum are only 3 miles from the cottage. Within a short drive are beaches and superb rocky shorelines, small towns for shopping and eating out and forest walks to hidden hill lochs. National Cycle Route 7 passes close by with a local ride to the Cairnsmore of Fleet National Nature Reserve and Kirroughtree Forest, part of the 7Stanes Mountain Bike network, is within a 20 minute drive. The Galloway Forest Park has also been designated Britain’s first Dark Skies Park as it is a superb location for star watching. 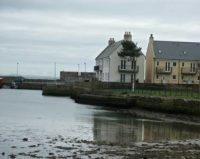 The area is renowned for golf, birdwatching, fishing, walking and the many beautiful gardens of South West Scotland. Logan Botanic Gardens, Castle Kennedy and Threave Gardens are all within easy reach as well as many smaller gardens and nurseries. The cottage’s garage is available for secure storage of bikes, fishing gear, golf clubs and ‘wet kit’. Nearby Wigtown, Scotland’s Booktown is a must and the Food Town of Castle Douglas and Artist’s Town of Kirkcudbright are both within easy driving distance. Two immaculately-presented semi-detached cottages on the outskirts of the former fishing town of Creetown, in beautiful Dumfries and Galloway. Luxuriously appointed throughout to provide quality accommodation, these cottages are the perfect getaway for families or friends who wish to explore this beautiful part of Scotland. Both are finished to an excellent standard with oak flooring, underfloor central heating and woodburning stoves. These delightful cottages have a large shared lawned garden and each has a private patio area with furniture and a barbecue. 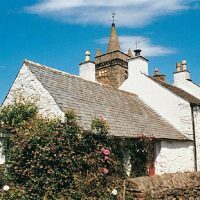 Creetown, with its location on the Solway Firth and near to the Galloway Hills, is an ideal location for exploring this diverse part of the country. The area offers salmon fishing on the River Cree, as well as wonderful walking and cycling in the surrounding forests and hills. The Laggan Outdoor Activity Centre provides a fun and adventurous day out. Less energetic pursuits include a visit to nearby Wigtown, Scotland’s National Book Town and the Chocolate Factory at Twynholm. 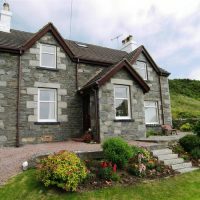 Providing excellent four star Bed and Breakfast accommodation in Creetown, a small quiet coastal village lying between Gatehouse of Fleet and Newton Stewart, where we hope you will find a “home from home”. Cherrytrees was built in 1746 of the local granite (with a large modern extension to the rear, added in 1830) and is a listed building that has been sympathetically updated, providing modern comfort whilst retaining its character and charm. The rooms are of a generous size as are the en-suite bathrooms. 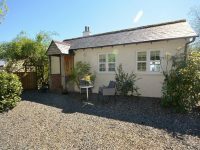 A delightful, modern, detached cottage situated in the village of Carsluith, near Creetown in the beautiful Dumfries & Galloway region in south west Scotland. 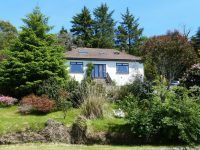 With views to the coast, this Creetown cottage is ideal for family or friends wishing to enjoy time together in this diverse and scenic part of the country. 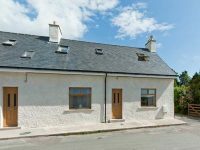 All ground floor and appointed to a high standard throughout, this Creetown cottage has three bedrooms, a double, a twin and a single, with the double having an en-suite shower room. 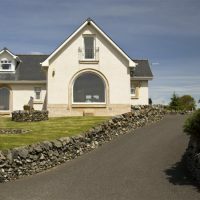 The accommodation is completed by a kitchen with dining area and a sitting room with French doors opening to the front garden, a perfect spot to enjoy an indulgent breakfast of eggs and smoked salmon, purchased from the neighbouring Galloway Smokehouse, while you enjoy the views across the A75 to the sea beyond. A bench and a south-west facing garden mean you can sit with a refreshing drink and enjoy the open view as you plan your day’s activities. Creetown, a small seaport town, is just a few miles along the coast from your cottage and has a shop, pub and Post Office. Just four minutes’ walk from the property brings you to a small beach ideal for enjoyable walks and excellent birdwatching, with ospreys in mid summer, while 10 minutes’ drive brings you to the beach at Mossyard which boasts small, shallow bays with a wonderful collection of seashells. 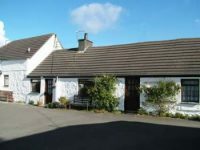 A short drive from this Creetown cottage brings you to Newton Stewart with an abundance of shops and two large riverside supermarkets, Wigtown, officially designated as Scotland’s National Book Town, which boasts numerous shops housing thousands of books, and the National Trust for Scotland’s Threave Garden Estate at Castle Douglas. Try boating or windsurfing on Loch Ken, cycling at Kirroughtree on the edge of the Galloway Forest, or river or loch fishing throughout the area. Alternatively, enjoy a round of golf at one of the five courses in the area, visit the whisky distillery at Bladnoch or take a trip to the Isle of Whithorn or St. Ninian’s Cave. This modern Creetown cottage is ideally situated for a varied break all year round. 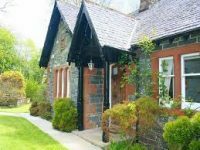 Kirkdale Bank Holiday Cottage has been renovated to provide high quality self catering accommodation to comfortably sleep 6. There is a king-size master bedroom, twin bedroom and full size bunk room – all with sprung mattresses. The master bedroom and twin room have black-out lined curtains and windows looking out over stunning sea views. In addition to gas central heating, there is an open fire in the spacious sitting/dining room and a wood-burning stove in the eating kitchen. Both make the cottage very cosy and atmospheric. Free firewood is provided. There is a TV/DVD and CD/Radio with IPod dock in the sitting-room. The dining table in the sitting-room can seat up to 10. The kitchen has a dishwasher, fridge/freezer, microwave and there is a washer/dryer in the utility room, which also has a second sink. A selection of games, books and toys is available in the cottage. There is also a highchair and travel cot in the property. The sitting-room, kitchen, master bedroom and twin bedroom all command spectacular sea views. There is a fully enclosed south facing garden with teak table and chairs looking out to sea. A further large garden is open to the side and rear. For mountain bikes there is a secure storage shed and outside tap. Pets are welcome too. Free wi-fi is available at Kirkdale Bank. 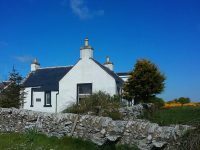 Located on the coast of South West Scotland, the cottage is ideally situated for mountain biking at Kirroughtree and the 7Stanes, Wigtown Book Festival, Castle Douglas Food Town and Kirkcudbright Artists’ Town. This property is 2 minutes walk from the beach. Featuring a garden and free WiFi, Harmony is located in Carsluith. Boasting a shared lounge, this property also provides guests with a sun terrace. Guests can enjoy sea views. All units in the bed and breakfast are fitted with a kettle. With a private bathroom equipped with a shower and free toiletries, some units at Harmony also boast a garden view. At the accommodation rooms are fitted with a desk and a flat-screen TV. Five comfortable self-catering cottages arranged around a large courtyard, sleeping from two to six. 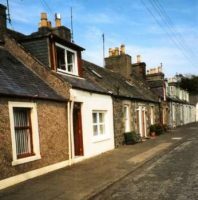 The cottages lie within one mile of Wigtown and have wood-burning stoves for those chilly nights. 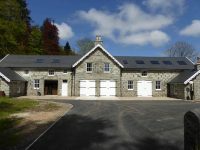 There is an indoor heated swimming pool, a games barn, an outdoor play area, broadband access and a drying room and storage for bicycles. 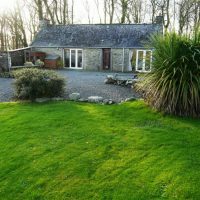 Muirfad Farmhouse B & B Palnure, Newton Stewart,Wigtownshire, Dumfries and Galloway is situated within walking distance of Kirroughtree Forrest and the Galloway Dark Sky Park THE FIRST IN THE UK and one of the best in the world for star gazing. 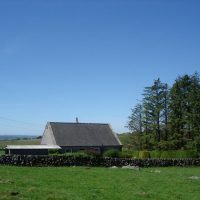 Muirfad is a typical Galloway Farmhouse believed to have been built in the 18th century, and retains many of it’s original features, but with the comfort of modern day living. 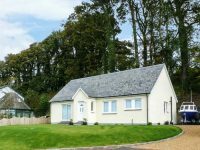 The house is set in over an acre of gardens of which some are landscaped and is conveniently situated within easy reach of the unspoilt market town of Newton Stewart, the rural community of Creetown and Scotland’s famous booktown of Wigtown. As a back drop to the house we have the Corbet Cairnsmore of Fleet and beyond the Mighty Merrick. We truly live in an area of breathtaking beauty. Muirfad, the “white farmhouse” mentioned in ” Walk in Scotland” as a land mark to one of the entrances to Kirroughtree Forest is in an area reknowned for it’s hillwalking, and 7Stanes mountain bike trails, deer stalking, nature trails,bird watching, fishing and golf along with it’s natural beauty. There are botanic gardens whose plants benefit from the influence of the Gulf stream, sandy beaches, cliffs , historic ruins, ancient woodlands, moorlands and lochs. There is an abundance of wild life in this area from soaring Golden Eagles and Red Kites to Deer, Mountain goats and Red squirrels. 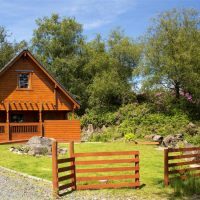 2 self-catering cottages on the edge of Galloway Park, at the foot of Galloway’s second highest Peak, Cairnsmore of Fleet and offering a fabulous and peaceful location in which to relax and explore this quiet, and often forgotten, corner of Scotland. Both cottages are 250-year old listed buildings, formerly part of the stables and coach houses situated within the quadrangular cobbled courtyard on Cairnsmore Estate, once the shooting estate of the Dukes of Bedford. A lovely experience! Traditional or gluten-free breakfast and superior fully en-suite stylish B&B accommodation in spacious cottage with guest lounge. Perfect for special occasions or a birthday treat. Quiet location in the rural Royal Burgh of Wigtown, only 4 minutes walk to Nature Reserve at Wigtown Bay and round the corner from the town square. Near Whisky Distillery and Historic Scotland sites & famous gardens – see our website for details & guests’ comments. Early 1800 sandstone and granite bank building set in an acre of walled garden (now the Bayview Nursery which we also operate). Beautiful views overlooking Nature Reserve and Wigtown Bay to Cumbria and Irish Sea. 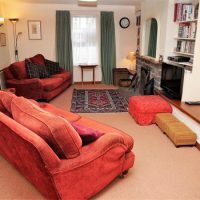 One double room, two triples, from £30 pppn, breakfast £7.50 and one family/self-catering apartment at £70 per night. All with T.V. and tea-making facilities. This recently renovated cottage sleeps up to four people. There is a comfortable sitting room, with a wood burning stove and views across a field to the river Bladnoch. There is also a separate, well-equipped kitchen and a garden with patio. Visitors can relax with a selection of books, games, DVDs and freeview channels. On-street parking, no pets please. 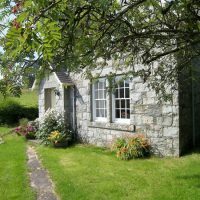 Welcome to Crabapple Cottage, a terraced hideaway nestled in the village of Bladnoch in the picturesque Wigtown Peninsula. This recently renovated cottage sleeps up to four people. 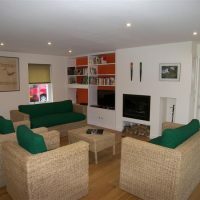 There is a comfortable sitting room, with a wood burning stove and views across a field to the river Bladnoch. There is also a separate, well equipped kitchen and a garden. 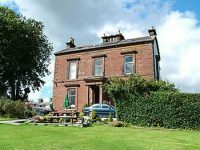 Stephanie & Carl Davis invite you to Glaisnock Guest House which is located in the heart of Wigtown overlooking the beautiful Wigtown Square Gardens. We offer two comfortable ensuite double rooms with kingsize beds, two single rooms with a shared bathroom and a spacious ensuite family room with a double and two single beds. All room rates include use of the guest lounge, Free Wifi, T.V/DVD/Radio/Freeview and a homecooked full scottish breakfast. Plentiful free on street parking is available. Arrangements can be made for off road private parking and storage of sporting equipment, cycles etc. We are happy to offer flexible breakfast times, lunches/packed lunches and evening meals are also available. We can cater for vegetarian and gluten free diets, all meals are served in the book themed café. We accept cash & card payments. 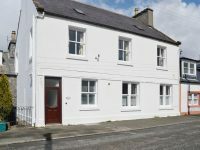 Charming two-bedroom apartment located in Wigtown. Available for rent on a weekly basis. The restored seventeenth-century croft contains a mix of modern design and traditional furnishings. The land around the croft was developed in the 19th century and the building is now part of a terraced street, Lochancroft Lane, named after the croft. The apartment is on the first floor. For further information, photos and availability, please check the website.